Fandom is about community and conventions are about meeting people who share your interests. Running conventions is a tough but very rewarding job. From time to time it is good to meet other conrunners and exchange experiences. Conrunner 4 was a great occasion to do so – it was an opportunity to learn something new, share thoughts and meet terrific people. And all this in just one weekend. Before the convention started there were a few things worth mentioning. 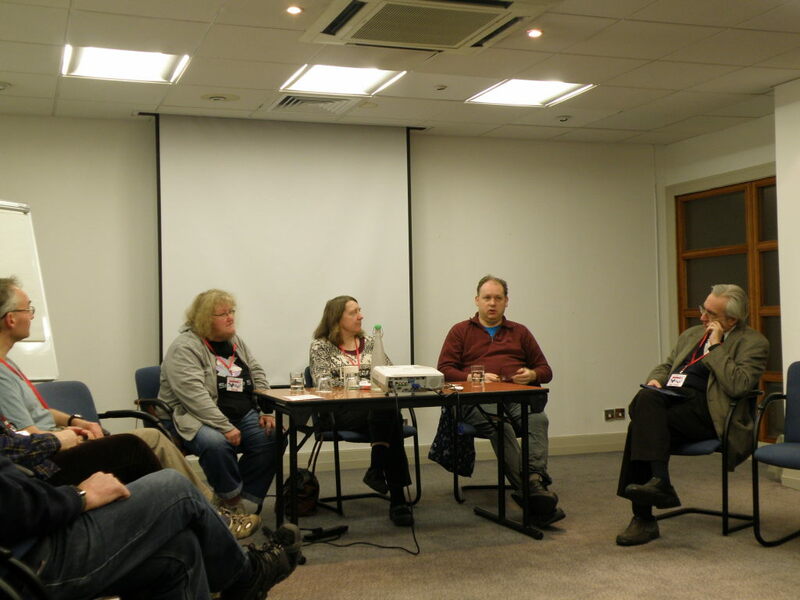 There was a bursary funded by Satelitte 4 (2014 Eastercon) that allowed five people to attend the convention. On top of that, an anonymous donor funded a Peter Weston Memorial Scholarship for one additional member. I think it is really great that six more people were able to attend this event. It was surprising to me that the programme was revealed just before the con, since I had suspected that it would be available few weeks earlier. Still, there was enough time before the convention to take a look at programme events and to choose which ones I would love to attend. The dynamics of the memberships was kind of surprising, with a large part of members joining almost at the last moment. 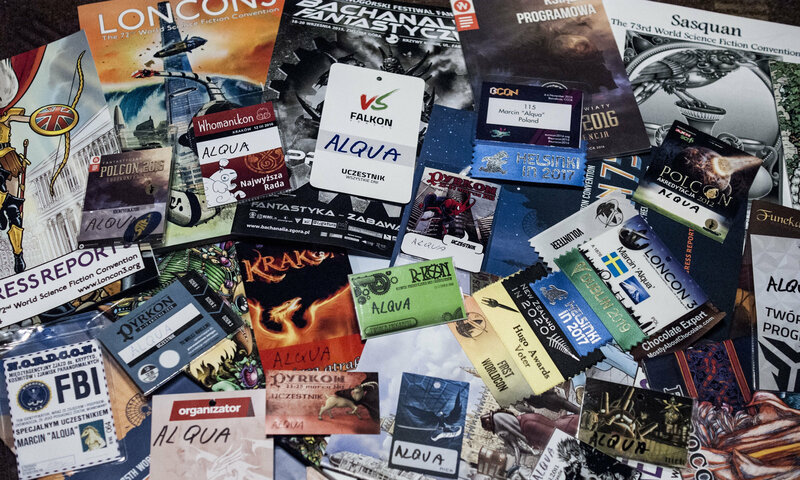 When I joined, I was sure that the convention would be very small. I don’t mean it in a bad way – I just wanted to meet more people. Fortunately, more people joined in the last few weeks before the con and ultimately the website listed over 70 members. 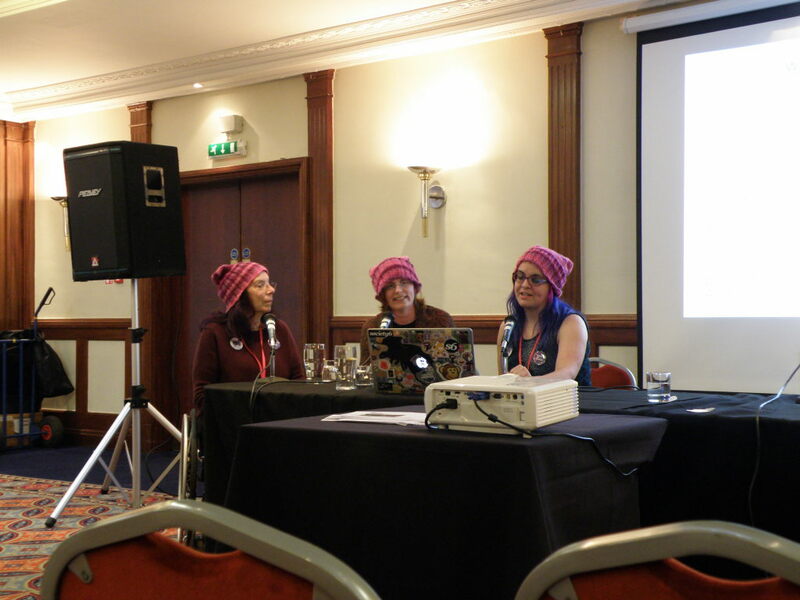 There was a short „guide” published on the website, presenting things you could do if you arrived in Nottingham early or would stay after the convention. I do believe it is great. However, one thing was missing from the list – the Warhammer World. 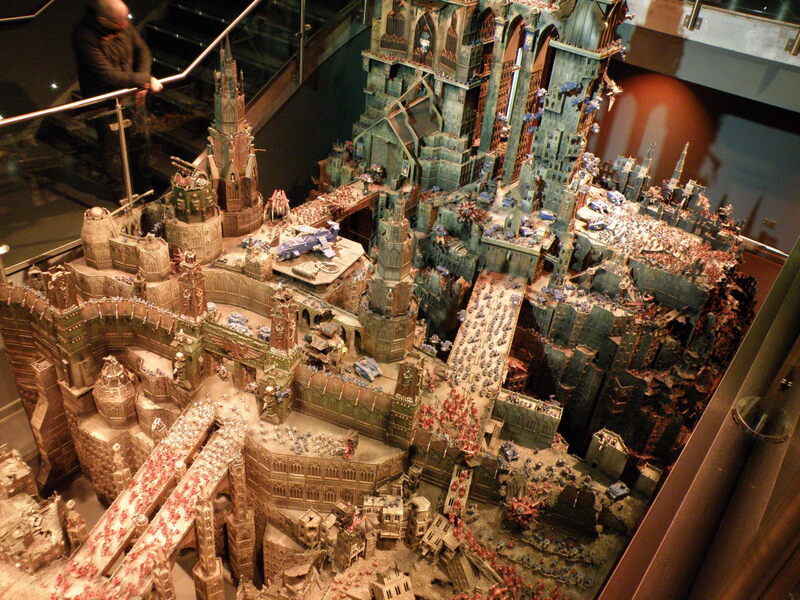 It is a museum of sorts, which is a part of the Games Workshop headquarters and it is fully devoted to displaying Warhammer Fantasy and Warhammer 40 000 miniatures. As mentioned in my first post, we tend to play a lot of games in Poland and I would expect any convention taking place in a city having such an exhibition to mention it. I was sure that the convention programme would be full of workshops and lectures presenting how things should or can be done. 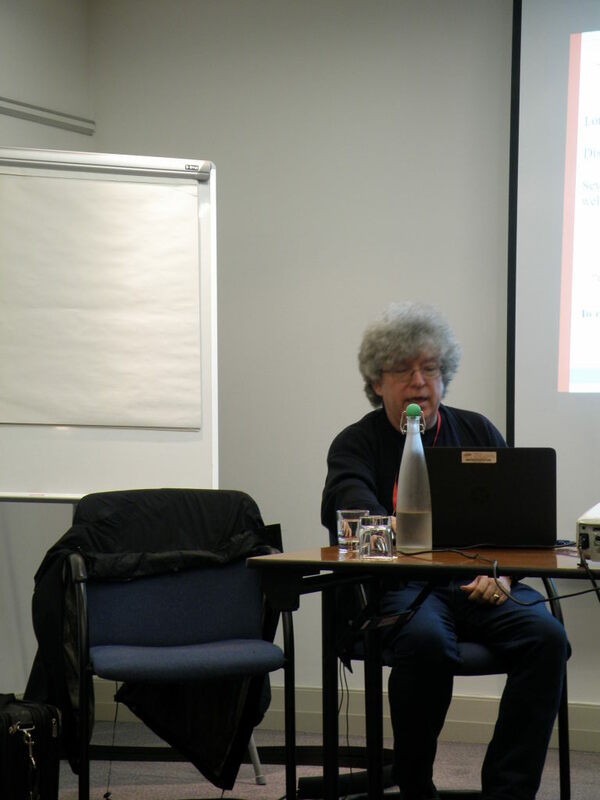 Instead, the majority of items I participated in was panels concentrated on the philosophy of conrunning. Even though I expected a different approach, I am really, really happy that the programme looked the way it did. It was really good to understand not how people are approaching certain problems but why they are doing things in a given way. Maybe I did not learn a lot, but I had to think about many topics. I am not sure how this approach would go with people who are just starting their adventure with conrunning, but for me it was a really valuable experience and I am sure it will change my approach to certain topics. It was great that people who attended the Conrunner (and participated in the programme) had different convention backgrounds. The majority of members had worked on “standard” SF conventions, but as they came from different countries, their exact approaches varied. 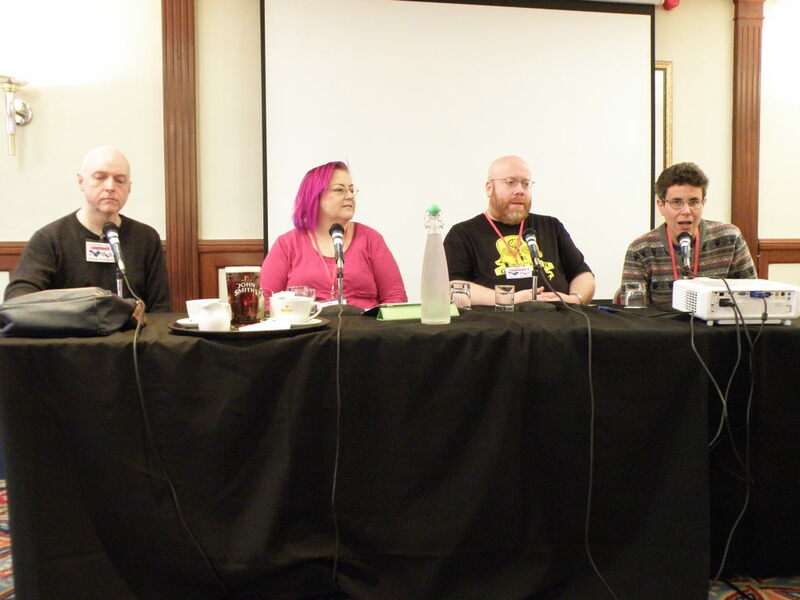 There were also some people who were involved mainly with other types of conventions – I do recall fans mentioning that their focus was Filk conventions or tabletop games conventions. I also remember some members mentioning Start Trek cons. It is good that we can still work together and share our experiences as a community despite these differences. 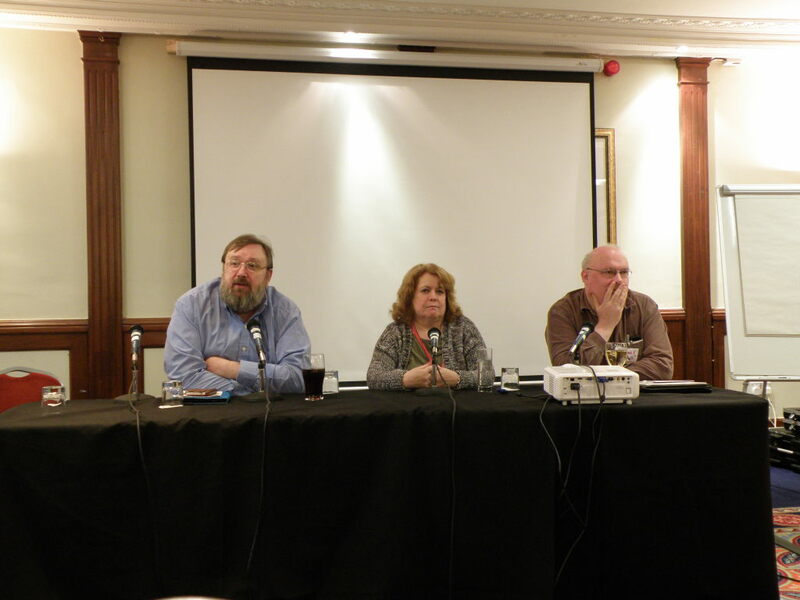 It was very nice that two Worldcon bids had the opportunity to make a presentation. One of them was the French bid for Worldcon 2023 in Nice and the second one was the bid for UK in 2024. Of course, as these dates are so many years away, there were not too many details available. I still got the opportunity to meet the people behind those bids and see what was already done and what are the plans for the future. In the beginning I was a bit skeptical about the Worldcon in France. After the presentation I am more confident. I can see that the organizers gave it a lot of thought. They analyzed the situation and they know what problems can be expected and they already started to work on them. For sure, Eurocon 2018 will be an important convention for the Nice bid. It will show to the fans all across the Europe how does the French fandom looks like. It will also be occasion to observe how well French and international fandoms can mix. I keep my fingers crossed for more Worldcons in Europe. Attending the Conrunner was awesome also because I had the opportunity to meet people who, just like me, devote a lot of their time to conventions. Some of them I knew before and it was nice to get in touch again. I met some of the attendees for the first (and hopefully not last) time. All the conversations I had gave me a lot of strength and they motivated me to look forward to the next opportunity to get involved in a convention. It also strengthened my belief that the idea of visiting conventions in other countries is a very good one and that I should continue to pursue it. My only regret is that as I was not staying at the convention hotel, I had to get back early and I could not participate in long overnight discussions (which I do believe took place). I am happy that one of the first programme events was focused more on socializing rather than on hard work. Attendees were asked to share their memories about their first convention or the first convention they had organized, and so on. This allowed us all to understand who we are and it gave me a feeling of being a part of a community. The organized lunch break, with sandwiches and French fries being served, was a great way to socialize. People were forming a nice queue and were discussing some fandom stuff. Of course, time was limited, but it made it possible to meet new people both on Saturday and on Sunday. 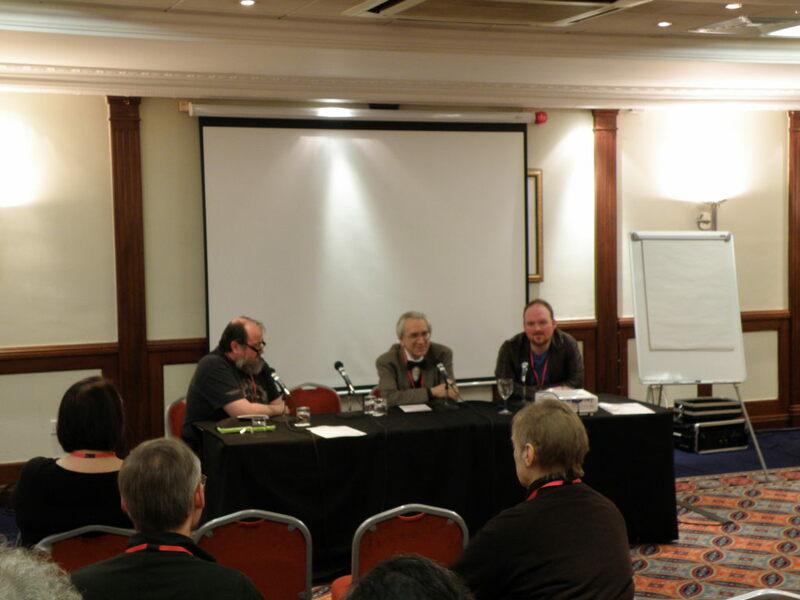 This was my first convention, whose primary goal was to share conrunning knowledge. When I considered if I should go, I was not 100% sure if that was a good idea. Now, a few weeks after the convention, I can only wish that it lasted longer. I am already looking forward to the next edition which, as per the committee words, should take place in autumn 2019. I do hope I will manage to get there and once again meet people who are full of energy and ideas. I also hope that I will get involved in some conventions outside of Poland in the meantime. 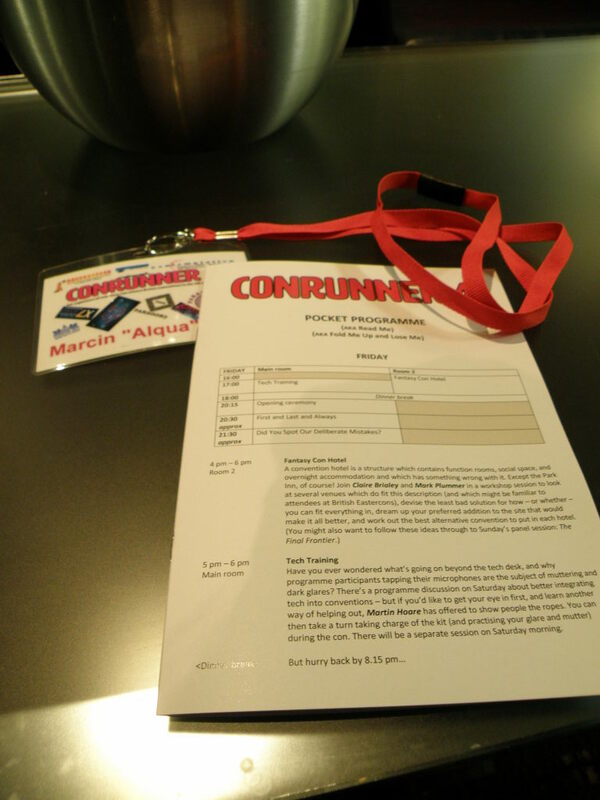 My next post will treat about KONgres – first Polish convention for conrunners. It will be published on 4th April.